For wolf lovers, there are uncountable things to marvel about these amazing wild creatures. To begin with, wolves are the largest members of the Canidae (dog) family. Just to refresh your memory, the Canidae family comprises of the African hunting dogs, domestic dogs, coyotes, different types of jackals, various kinds of foxes, and much more. The earliest wolf drawings were discovered in Southern Europe and they date back from 20,000 B.C. 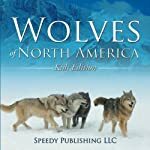 If you are looking for the best wolf books where you can learn more about these majestic creatures, this is the right article for you! This book was written by Jim and Jamie Dutcher, a couple who spent approximately 6 years living with a pack of wolves at the edge of the Sawtooth wilderness in Idaho. The book contains stunningly intimate wolf photos to illustrate the complex social hierarchy of these amazing animals. The brief chapters of this book give a general introduction to wolves and how the Dutchers came to know them. The book also tackles the complex conservation issues affecting the near-extinction animals and the current replenishment measures of different animal species in the jungle. The sidebars of this book explore different myths concerning wolves including the European fairy tales, the Native American spirit stories, and the modern ranching tales. This amazing wolf coloring book contains about 40 single sided coloring pages. The many coloring pages give you the freedom to pluck out each page for use as a coloring reference or for framing. The wolf colorings contained in this book were designed by different artists, each carefully handpicked to guarantee high quality. This book contains a wide array of imagery. What's more? The designs range from very simple and easy designs to the more complicated and challenging ones. If you adore wolves, this book is definitely all you need! This book is perfect for children who are interested to discover more about wolves. The book comes with amazing pictures and interesting facts about wolves, making it not only beneficial for children but also for adults and all animals lovers. To master their courage during wartime, the Vikings wore wolf skins and drank wolf blood. Even though wolves come from the same family with domestic dogs, they are not excellent guards like dogs. Rather than barking at unfamiliar visitors, wolves will tend to hide because of fear. The books elaborated on this page will disclose to you many other amazing facts about wolves. Apart from being cost-effective, these books are also amazing to read. If you’re a lover of wolves and want to discover more, the above list can help you do that.